Meet Tabetha and Peter. They met at work. 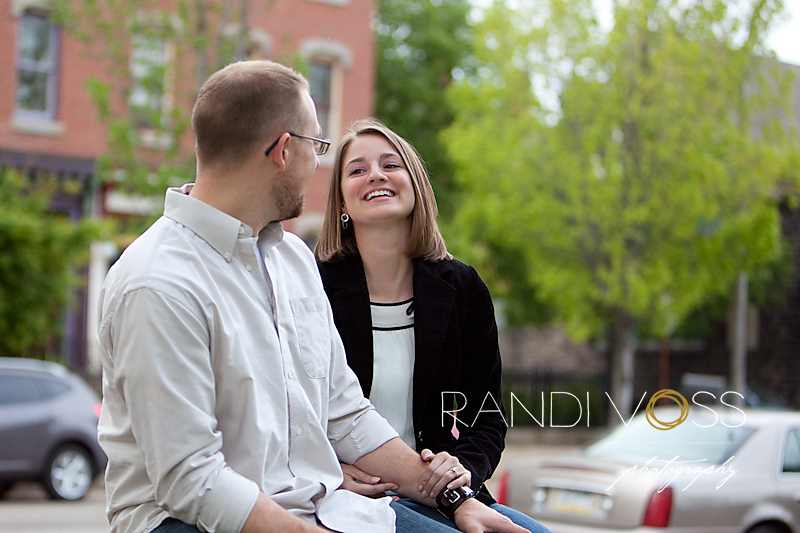 Peter was teaching full time at a local school and Tabetha was student teaching there when they met. They had to take some time to get to know each other since the school’s policy did not allow dating between staff members. But love knows no school policy. I am so thrilled to be photographing their wedding this summer at Lingrow Farm! 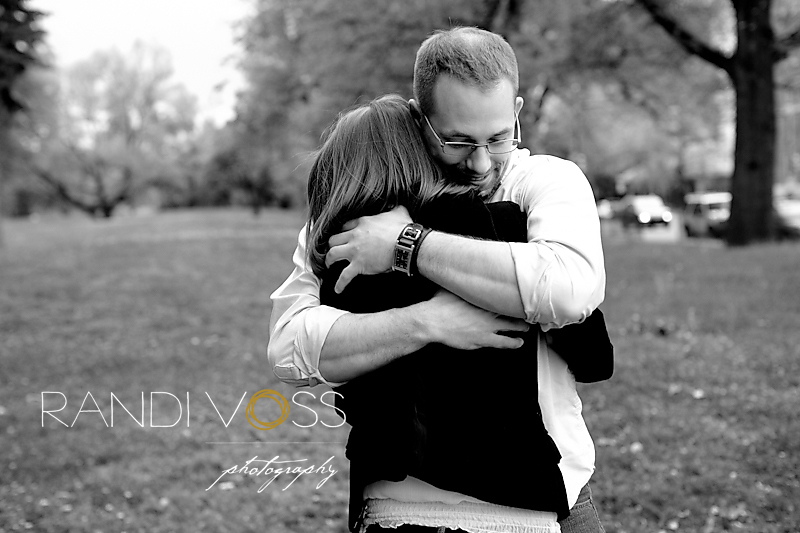 Here are their engagement photos from the Allegheny Commons Park and the Mexican War Streets area of Pittsburgh. Beautiful smiles! Tabetha was a litlle nervous because we were pressed for time during the shoot (and she had taught 6-8th graders all day). All it took was a run through the “squeeze machine” and she was relaxed, happy, and ready to be photographed. One of the most important things to me is how you feel when I am photographing you. If you are stressed out or worried about something, it will show in your photos. Here, Tabetha and Peter spent a moment alone while I was making an equipment change. Photo by Nicki. A fun climb in a tree…. Our final stop was to Randyland. I do love that name! 2 great photos….at the same time. Thanks Tabetha and Peter for a great session! See you again in July at Lingrow Farm for your wedding. Good luck to Tabetha and her sister, Kristen, on their run in the Pittsburgh Marathon coming up on Sunday. See you ladies there (with my camera….and not running shoes)! You have captured the essence of my grandaughters spirit. The smiles are truly hers and the love that she and Pete share “Ibelieve” will last through time.I cried tears of joy and I bless you for your ability as a wonderful photographer. See you at the wedding, and God Bless. this is def one of your(our) brightest color-ed shoots. i think it fits their personalities perfectly. These photos of my son and his future wife are so heartwarming and FUN. You’ve captured their obvious deep affection for each other and their lovey dovey ness. Terrific photos, they look like ads in some of my favorite magazines. It just so happens, two of my favorite relatives are the stars! You look great guys. You guys are too cute and look so happy!!! Great photos guys!